Vibration exercises increase muscle strength, speed, power and lean muscle mass. Lower body vibration exercise improves balance and decreases fall risk. Studies have shown the vibration stimuli can increase bone density in test subjects. How Does Whole Body Vibration Technology Make Workouts Smarter? Vibration simply makes the exercises you do more effective, hence faster. Even if you are a total beginner, you can start gently and build intensity as your balance, strength and fitness improve. The following three factors create a better, more efficient workout. Perform the exercises to the best of your ability. 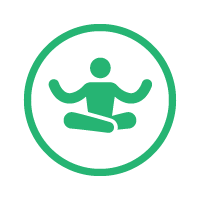 Exercises can be done sitting, standing and lying on the machine and each exercise targets a specific area of the body. Vibes machines can be set anywhere from 20 - 50 vibrations per second. Each vibration causes muscles to contract and relax and recruits more muscle activity. 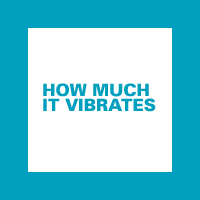 Vibes machines can be set on low or high vibration (2 mm or 4 mm) of displacement. The higher the setting, the harder your muscles need to work to keep you stable.